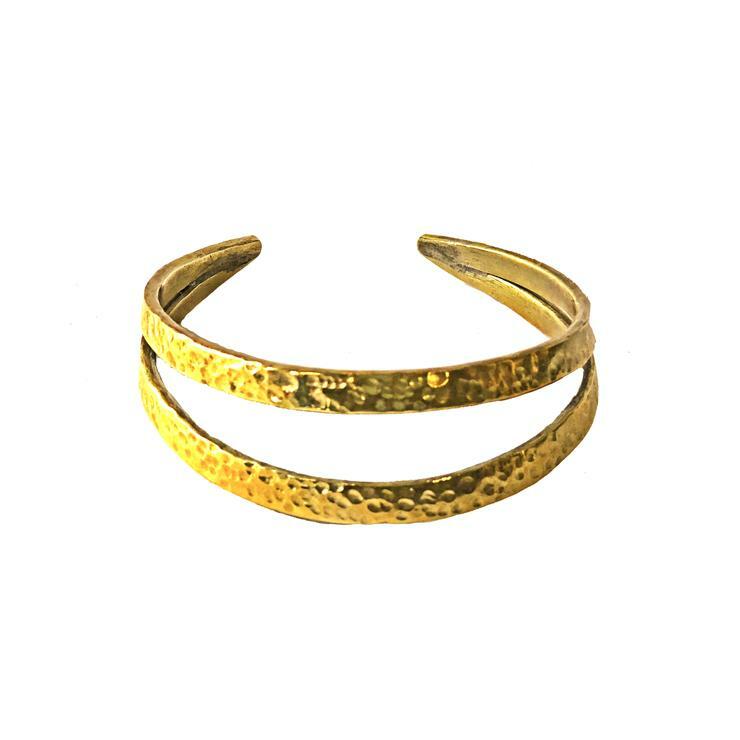 The Double Crescent Cuff Bracelet features two arcs of hammered brass. The Kenya Collection is handmade by fairly-paid, empowered artisans at a worker-owned cooperative in Nairobi, Kenya. This cooperative is located in Kibera, which is one of Africa’s largest slums. Our remarkable partners use the power of artistry to transform not only their own lives but also those of everyone living in their community. Our partners craft the Kenya Collection from recycled brass with accents of cow horn and bone, because these resources are available locally.